SCUBA site in Southeast Oregon. 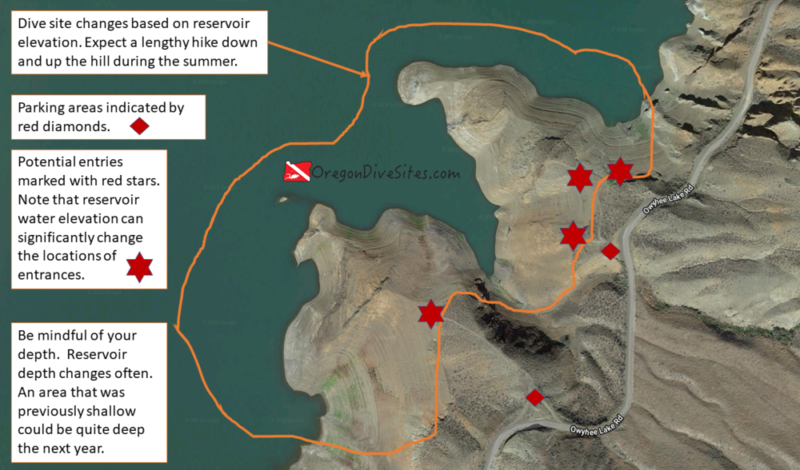 The diving at Owyhee Lake Roads Pull-Outs is not great but it is pretty unique. There aren't many places to get wet in this part of the world.